In 2016, we made sure that eligible voters within the nail salon community exercised their right to vote. Utilizing an on-the-ground approach, we called 4,300 households, knocked on 1,200 doors, and visited 170 nail salons. 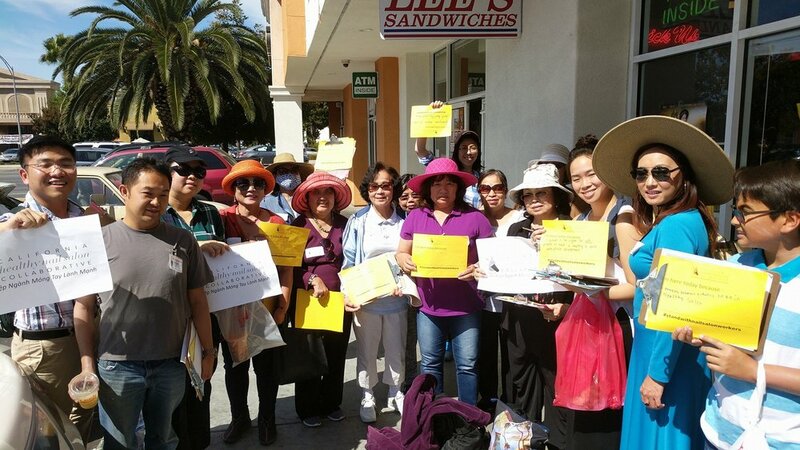 Our nail salon worker members, Collaborative partners and student volunteers spoke to over 1,100 registered Vietnamese voters and reminded them to vote. As a result, we collected hundreds of surveys and pledge cards that resulted in the recruitment of 500 additional supporters to our movement. To learn more about our 2017 voter engagement activities, please contact Mike Lok at mlok@ahschc.org. If you would like more information about our outreach and leadership development activities, please contact Lisa Fu, Outreach and Program Director, at lfu@cahealthynailsalons.org.